Dysfunction, Dysfunction, What’s Your Function? It’s 11:30 p.m. on Monday evening and in 30 minutes, the United States of America will effectively shut down the government, excluding all essential personnel and programs because of one thing – dysfunction. 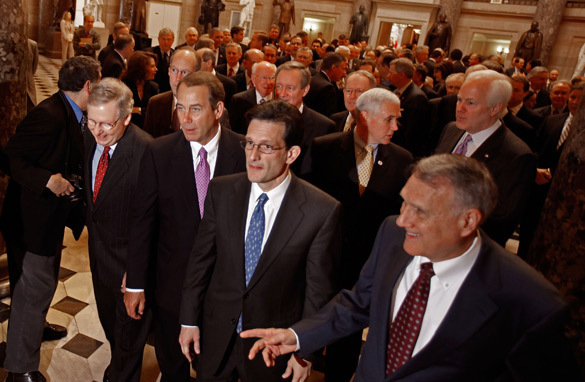 Truth be told, the GOP is celebrating the shut down because they would do anything – and I mean anything – to hurt, embarrass, cripple or destroy the Presidency of Barack Hussein Obama. After legislation was passed in the House and the Senate, approving President Obama’s signature legislation, and then it was upheld by the Supreme Court, a band of terroristic hijackers, all coming from the GOP are trying to circumvent law. The Budget does not pass the law, the budget approves spending for existing law. The Affordable Care Act is not pending legislation – IT IS THE LAW – and to not fund it is to overrule EXISTING LAW. Admittedly, this kind of brinkmanship does damage to the nation. The GOP is not doing this to buffet up a law – this is being done to stick a proverbial finger in the eye of the President of the United States. This has never been done. No government shut down has occurred in the 200 plus years of this Republic – to hold up an entire budget because a handful of Representatives seek to destroy EXISTING LAW after they could not stop it in legal methods. 40 times the GOP led House has passed a repeal of the Affordable Care Act (aka Obamacare) and 40 times the Senate has not passed it. The Affordable Care Act has produced GOP mega-stars such as Michelle Bachmann, Ted Cruz, and others – who are more concerned about making money, notoriety and mailing lists instead of doing what can benefit the American people. Never in my 53 years of life have I seen such a heartless group of politicians. It makes you wonder if the Tea Party would like to take us all the way back to 1776 – when the government was male-dominated, women were silent, slaves were in the fields, and land was being confiscated under the doctrine of “manifest destiny.” According to these Tea Party activists, they aren’t interested in cooperation and governance – they are interested in one word – No. I will agree that the deficit is a problem but they have bad memory. President Obama inherited one of the worst economies since the Great Depression, which was fueled by Congress’ reckless pursuits in the Middle East without providing funding for several wars. The President cannot and has not wrote one check – but the check writers blame him for everything knowing full well that their own malfeasance under President Bush helped precipitate this fiscal mess. I hope that the GOP is against the President for political reasons and not racial reasons but I cannot help but to remember that on the day he was initially inaugurated in 2009, the GOP met to devise a “one term President” strategy which was led by Kentucky’s senator, Mitch McConnell. Never in the history of the Republic has this occurred. They have, led by nomads like Orly Taitz, Rush Limbaugh, Sean Hannity, James David Manning, and other mouthpieces, who have attacked the President from his ethnicity to his citizenship to his birth certificate and even have gone as far as to accuse President Obama of working for the CIA in his younger years as if it was something seedy and ungodly, while forgetting that the CIA is part of THIS government. The GOP is about to make the same mistake made during the Newt Gingrich years, however, this time, to exclude 40,000,000 million Americans from Health Care Insurance which will benefit local municipalities, eliminate making Emergency Rooms as Primary Care offices, and will allow those with pre-existing conditions and children to enjoy what the same GOP House and Senate members enjoy – health care. By the way, we will remember this in 2014, 2016, 2018, 2020, 2022 and beyond. Pastor Henry Littleton Lewis, Jr.
Henry Littleton Lewis, Jr. was born in Marion, Arkansas on February 11, 1933, to the late Pastor Henry L. Lewis, Sr. and the late Mary Lewis. He accepted Jesus Christ as his personal Savior at 10 years of age. Henry attended Wanda High School in West Memphis, Arkansas. He served in the United States Army from 1952 to 1955, receiving an honorable discharge. In 1961, he moved to Pismo Beach, California. That same year he met and married Marva Woolfork. This union was blessed with 2 sons: Donald Lewis who resides in Santa Maria, California and the late James Lewis. Additional blessings came in the form of 3 grandchildren: Jennifer Carter of Bakersfield, California; Cameron Lewis and Tyler Lewis of Santa Maria, California; and 1 great-granddaughter, Myah Noriega also of Santa Maria, California. In 1961, Brother Henry L. Lewis, Jr. united with Mount Zion Missionary Baptist Church, located in Grover Beach, California, under the leadership of the late Pastor Cecil Parish. He was ordained as a Deacon in 1963. In 1970, Deacon Lewis was called into the Ministry. In 1972, he was ordained as a Minister and was called to Pastor Mount Zion, a position he held for 22 years. In 1975, he married Anna R. Farmer. They were married until she passed away of Cancer in 1989. Pastor Lewis married the love of his life, Agatha Shorter, on January 16, 1993. In 1994, he united with New Hope Missionary Baptist Church of Santa Maria, California, under the leadership of Pastor Earl E. James. He served as Administrative Assistant to the Pastor. He also served as Brotherhood Chairman; Sunday School Teacher; and Trustee. On September 2, 2006, he was ordained as Pastor of New Hope Missionary Baptist Church. God gave Pastor Lewis a vision to organize the Auxiliaries of the Coast Counties into a work thats not only supportive on the District level, but also on the State and National levels, for our Lord and Savior, Jesus Christ. At New Hope, Pastor Lewis embraced his vision of the Family Ministry: The family that not only prays together, stays together-the family that studies the Word of God together, makes it a part of their lifestyle. 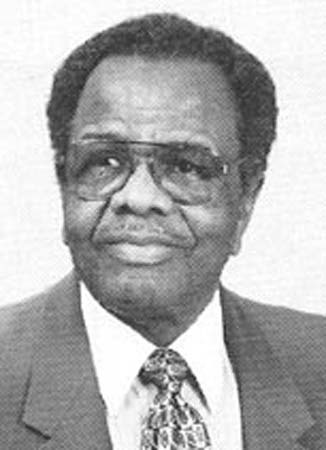 Pastor Lewis Association, Educational and Community background included: serving as Vice Moderator of the Coast Counties Missionary Baptist District Association from 1976 to 1980; serving as Moderator from 1980 to 1984; serving on the Executive Board of the North Counties Community Project from 1989 to 1991; President of the Coast Counties Missionary Baptist District Association Congress of Christian Education; President of the Ministerial Council; GED from Santa Maria High Adult Educational program; completed studies at Hancock Community College; attended Antioch Seminary Extension; received the Pastors Alternative for Teacher Certification in 2001; Graduated New Hope Seminary Extension Center in June 2006; Presidents and Deans Certification Program, National Baptist Congress of Christian Education; Co-Chairman of the Foreign Mission Board; Chaplain for the Santa Barbara County Probation Department; member of the Democratic Club; member of the National Association for the Advancement of Colored People (NAACP). He was preceded in death by his father, Reverend Henry Lewis, Sr. of Turrell, AR; his mother, Mary Lewis McClendon of Fresno, CA; one son, James Lewis of Los Angeles; CA; three sisters: Maudell Turk of Turrell, AR; Loistene Johnson of Milwaukee, Wis.; Sandra Faye McClendon of Fresno, CA; and sister-in-law, Loyola Ward of Lake Elsinore, CA. He leaves to cherish his wonderful memories, his wife, Agatha Shorter-Lewis of Santa Maria, CA; one son, Donald Lewis of Santa Maria, CA; three grandchildren: Jennifer Carter of Bakersfield, CA; Cameron and Tyler Lewis of Santa Maria, CA; one great-granddaughter, Myah Noriega also of Santa Maria, CA. Also one brother, Willie Lewis of Las Vegas, NV; three sisters: Barbara McClendon and Ruth Jean McClendon of Fresno, CA and Mary Evelyn Jones of Los Angeles, CA. Two sister-in-laws: San Juanita Lewis of Las Vegas, NV and Carolyn Jordan of Carson, CA; one brother-in-law, Lincoln Ward, Sr. of Lake Elsinore, CA. He also leaves behind a host of nieces & nephews, great-nieces & nephews, and great-great nieces & nephews, as well as cousins, his New Hope Church family, whom he dearly loved; and friends from all walks of life. Services are as follows: Wake: Friday, September 27, 2013 from 5-8 p.m. at New Hope Missionary Baptist Church, 416 West Mill Street, Santa Maria, CA. Homegoing Celebration: Saturday, September 28, 2013, 11 a.m. at Pacific Christian Center, 3435 Santa Maria Way, Santa Maria, CA. Repass: Veterans Memorial Community Center, 313 West Tunnell Street, Santa Maria, CA (immediately following Homegoing Celebration). Burial: Monday, September 30, 2013, 10 a.m. at the Santa Maria Cemetery. Arrangements are under the direction of Dudley-Hoffman Mortuary, Crematory and Memory Gardens. The Reverend Dr. J.A. (Joseph A.) Boles, founder and pastor emeritus of the St. John Missionary Baptist Church of Tacoma, Washington, and assistant pastor of the St. John # 1 Baptist Church of Jackson, Tennessee went home to be with the Lord on Monday, September 23, 2013. He was 90 years old. Dr. Boles was instrumental in my own personal ministry and gave me opportunities to preach at St. John in my 20s. He was the elected for life President of the State Congress of the General Baptist Convention of the Northwest; Founder of the Washington State Baptist Convention; Moderator of the Progressive District Association of Washington; and was a Vice President and one of the founding elders of the National Missionary Baptist Convention of America. Pastor Boles had dozens of sons in the ministry, many who joined St. John during their military service at Fort Lewis. He also planted several churches, many of them standing and thriving today, in the Tacoma region. He was the Bible Instructor during the presidency of the late Dr. O.B. Williams for the General Baptist Convention of the Northwest, and was one of the best expositors of the Bible I’ve ever heard. He was sound counsel and didn’t hesitate to put his arm around this, then, young preacher and say “now son . . .” St. John had a rich legacy in music and he actually served as the first director of the St. John choir! He built a beautiful, state of the art sanctuary which featured two sweeping 45 degree angle choir stands with keyboards in front of both and the Hammond organ was sunken in the floor in front of the podium. Under his leadership, St. John prospered as a congregation of well over 2,000 members. After I left Portland in 1991, I would see him at the NMBCA and he always made time to see how I was doing, how was my family, and “how’s the church?” He will be greatly, greatly missed. The Rev. Joseph A. Boles, a pioneering pastor and civil rights leader in Tacoma for five decades, died Monday. Boles, who retired in 2000 after 47 years as pastor of St. John Baptist Church, died in his sleep at his home in Jackson, Tenn., said Eric Boles, one of his three sons. Boles founded St. John Baptist on Tacoma’s Hilltop in 1952. A few years later, he labored to end housing discrimination and get blacks hired for the first time at local stores. In the 1960s, Boles helped Tacoma recover from a race riot. And in the 1990s, he challenged police to improve their treatment of African Americans. “His whole congregation kind of followed him into the civil rights movement,” said Moss, an African-American involved in the movement himself. Boles had planned to finish 50 years as St. John’s pastor, but congestive heart failure forced him to retire early at age 77. On the advice of his doctor, he took a less stressful path away from church members who constantly sought his counsel. He retired in Jackson, near his hometown. He said before leaving in 2000 he planned to fish, raise worms, watch birds, learn how to use the Internet and perhaps write a book. Instead, he taught Sunday school and helped the pastor of a church in Jackson, called St. John #1 Baptist Church, said Eric Boles, who lives in Tacoma. The elder Boles even started a little church of his own so there would be services on Sunday nights. Eric Boles said his father taught him how to look at life and gave him two books for advice: the Bible and “How to Win Friends & Influence People” by Dale Carnegie. Thomas Dixon, president emeritus of the Tacoma Urban League, said there’s “no question” Boles helped advance civil rights in Tacoma. Boles and another late Tacoma pastor and civil rights leader, the Rev. Earnest S. Brazill, were two of his strongest supporters at the Urban League, Dixon said. Brazill, former pastor of Shiloh Baptist Church in Tacoma, died in 2000 at the age of 90. Over the years in Tacoma, Boles trained many new ministers. He started and led the Tacoma Ministerial Alliance, a socially influential, predominantly black association. His former church at 2001 S. J St. now goes by the name St. John Church Transformation Ministries International. Madison said plans for a memorial service at St. John are pending. Boles’ survivors include his wife, Lewi Cathryn, three sons and a daughter. Another daughter preceded him in death. Boles will be buried in Stanton, Tenn., near Jackson, Eric Boles said. 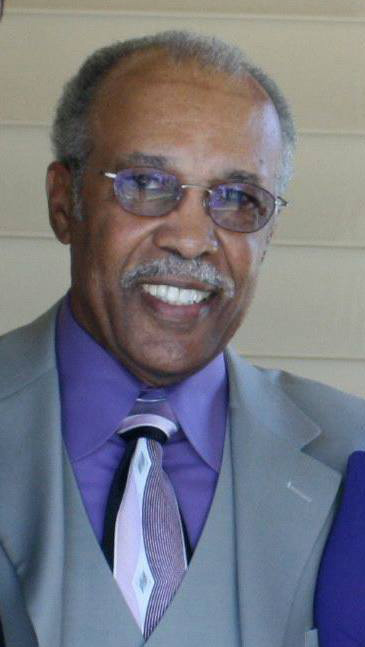 On Monday, September 9, 2013, my father-in-law, Clarence Anderson, Jr., 75, of Sacramento, California, went home to be with the Lord. I know normally we reserve this space for pastors who have left these shores, but I hope you will allow me to share what an awesome man of God my father-in-law was. Clarence Leon Anderson, Jr. was born February 19, 1938 in Jackson, Mississippi to the union of Naomi Vann and Clarence Leon Anderson, Sr. He was a resident of California for 72 years. He was a graduate of Sacramento High School where he played the Saxophone in the Marching Band. He attained his Bachelor Degree at Sacramento Junior College. Clarence received an Honorable Discharge after 2 years in the US Army. He retired from McCellen Air Force Base after 34 years of service. Clarence gave his life to the Lord at an early age and was raised as a Methodist and in the Winter of 1998 he united with Shiloh Baptist Church, and was baptized. He served as an active member until his passing. Singing was his passion. As a teenager he starred singing “Doo Wopp” music with a group of fellows who called themselves “The Sultans.” At Shiloh, he sung with: The Praise Team, The Mass Choir and the Shiloh Male Chorus. He also sang with the MLK 200 Mens’ Choir, The Sacramento Metropolitan Chapter of the Gospel Music Workshop of America and national James Cleveland Chorus. He now sings with the Heavenly Choir. On August 23, 1969 he married Edith Raye Thornton. They loved to travel especially sailing on cruises. Clarence loved sports – anyone who knew him knew he loved the San Francisco Giants and the San Francisco 49ers. He enjoyed traveling, laughing and serving others whenever he could. His daughter, Jessica and I, married on October 22, 2005. We dated for several months. We had our first date in Sacramento, for a cup of coffee, at the California Missionary Baptist State Convention, hosted by her pastor, Rev. Bryant C. Wyatt, Sr. When we decided to get married, Jessica was insistent that I ask her mom and dad for her hand (she’s kinda old-fashioned like that) – but what Jessica was really after was the blessing from her mom and dad. That was very important for her. I remember walking into the house and how warmly I was received by her parents. Her dad was a sports fan, especially the Giants (baseball) and 49ers (football) which was good grounds for discussions especially since I was an A’s (baseball) and Cowboys (football) fan. I had been told by Jessica that he had coached at one point and I felt like I was not being sized up, but being embraced and thus begun the process of being grafted into the family. When I asked for Jessica’s hand in marriage, he was overjoyed. He not only became my father-in-law, he became my silent prayer partner. I had no doubts that he and his wife began to pray for us. It’s been a journey. We married one Saturday in Sacramento, honeymooned in Reno, and then Jessica said farewell to her daddy, her mommy, and the only home she ever had known, to be with her husband in Nashville, Tennessee. It was his joy to walk Jessica down the aisle as she was singing. Music is important to the Anderson family, as it is in my family – and I will never forget the beauty of my bride while being on the arm of her daddy. She is a daddy’s girl – no ifs, ands, and buts about it. He smiled joyously walking his daughter down the aisle. They saw us off to our flight . . . and I’m sure there was a degree of joy and sadness to see his girl get on that airplane. Through the years, all four of us have had some health issues – that happens as time goes by. The biggest one personally and obviously was my brush with cancer this year. He did not fail to call if not to speak to me personally, but to call Jessica and check on her. We talked on several occasions and her mom always said something to me when we would conclude our calls, “you know we both love you very much…” To me, it wasn’t just words, it was perfect truth. I was in Augusta, Georgia at the homegoing services of my friend, Rev. Clifford Williams, when Jessica’s sister, Miya called to let me know that he had suffered a heart attack and the prognosis shared by the doctor. I had to call Jessica at work, and thank God, her supervisor is one of my members and she was able to be in the room, to give her comfort, solace, and help her get on the first plane to Sacramento. I’ll always be grateful for that attention. Jessica was then when Clarence took his flight on Monday morning. He was surrounded by his loving wife, Edith, and the family. I could only imagine how it went (I was in Kentucky) but Jessica said something, she said that even while doctors were disconnecting apparatuses, they were singing – because that’s what he was – he was a singer of God’s praise. Even the men of the church loved him so much, they sang at Shiloh Sunday Morning, including one of his songs, and then came by the hospital in matching outfits. On Monday and Tuesday, we’ll gather together to say goodbye to Dad Anderson. A tremendous man of God who blessed so many people in his life and who I know made an impact upon my life that continues to this day. He is preceded in death by his parents: Mother Naomi Vann-Conley (William); father, Clarence L. Anderson, Sr. (Geneva) and brother, Lennon Conley (Eddy Jo). Clarence leaves to cherish his memory his loving wife of 44 years Edith Raye Thornton Anderson; Three Daughters: Andrea Williams (Anthony), Fairfield, CA, Amalia “Mia” Jenkins (Shawn), Stockton, CA, Jessica Houston (Pastor Robert Earl), Frankfort, KY and one Son: Jaymar Anderson (Este) Elk Grove, CA. Seven Grandchildren: Elias, Brie, Stephanie, Jazmyn, Danielle, Jannelle and Alexis. Sisters: Joyce Bynum, Monroe, LA, Linda Bufford (Bo) Southfield, MI, Loubertha Bowens, Memphis, TN and Claressa Motley, Detroit, MI. Brothers: Melvin Conley (Shirley) Monroe, LA, Maurice Conley (Pat) St. Petersburg, VA, Ronny Conley (Jeanette) Memphis, TN, Carlton Anderson (Myra) Spring, TX, and Chuck Anderson (Paula) Novi, MI. 2 Special Aunts: Deloris Reams-Covington and Nettie Jackson. Numerous Nieces and Nephews he called “His Kids,” He was a father figure to many. In-Laws: Gussie Stokes, Sacramento, CA, Deacon Andrew “Sonny” Thornton, Jr. (Dorothy) Elk Grove, CA, Rosie Walker(John) Rome, GA. And a host of other relatives, neighbors, church members, singers and friends. Just got word that Pastor Eddie James of the Bridge Church in Apolika, AL, went home to be with the Lord. Pastor James is a son of New Hope Missionary Baptist Church under the leadership of the late Dr. A Bernard Devers. I remember when he joined New Hope, married his wife of 36 years, Hattie James. He sang in the Senior Choir, best friends with Tonax Dixon, involved in Sunday School, etc. and I remember when he confessed his call to the ministry and preached his first sermon. I remember when he and Hattie left Portland to go to Alabama, and my heart was touched to hear of the work that they were doing there with the Church. Praying for his wife and family. 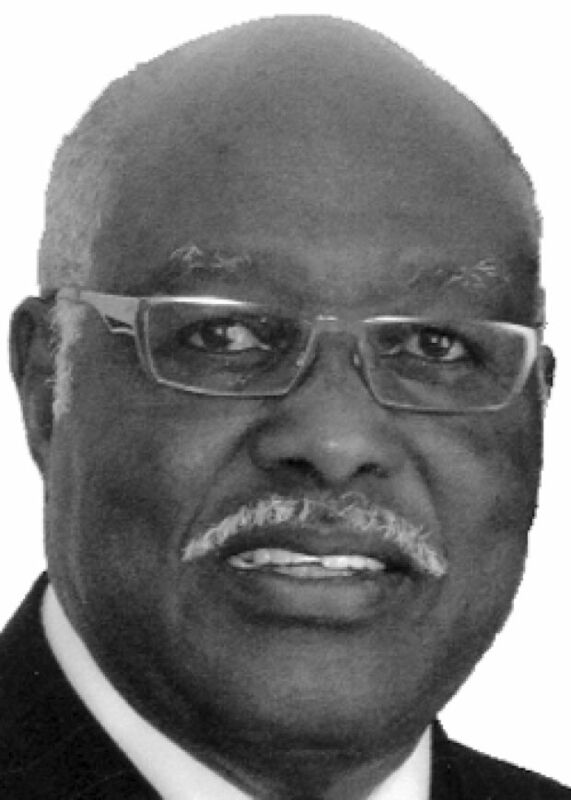 Columbus, Georgia- Pastor Eddie James, 65, of 30 Lee Rd. # 436, Phenix City, AL died Thursday, August 29, 2013 at Columbus Hospice House. Funeral Services will be held 10 AM CDT Friday, September 6, 2013 at The Bridge Church, Opelika, AL with pastor Auzzie Comer officiating. Interment will follow in Green Acres Cemetery, Columbus, Georgia according to Sconiers Funeral Home, 836 5th Ave., Columbus, GA. Visitation will be 12-4 PM,followed by a family hour 4-6PM Thursday, September 5, 2013 at the funeral home. Eddie James was born June 5, 1948 to Gus and Earline Bynum James. Pastor James attended and graduated from various Bible Schools with more intensive studies at the Beacon University, Columbus, GA. After much prayer in 1997, Pastor James along with his wife founded and pastored Family Life Chrisrtian Center, in Opelika, AL . Under the direction of the Holy Spirit the name of the church was changed to The Bridge Church of Opelika, AL. Pastor leaves a legacy to forever cherish His memories a loving, praying and devoted wife of 36 years, Hattie James, step mother, Rosie James, children, Kenneth Coleman, Anita aaHarris, Chandra James, Ecketer Owens Jr., Larissa Alford (James) and Melinda James, 17 grandchildren, siblings,Gus James Jr. (Vivian), Clemmie (Lorraine), Veneda LaRon (Daniel), Twins-Donald and Douglas James, uncles, aunts, nephews, nieces, host of cousins, family, friends and The Bridge Church of Opelika church family.